At Brush Country Dental Center, our mission is simple: help our patients achieve healthy, beautiful smiles that they can feel proud of. As a leading family and cosmetic dentist serving the greater Pleasanton, TX area, we're proud to offer a wide range of dental treatments and services, and we strive to put our patients first by making treatment as convenient as possible. While much of our treatments focus on preventing cavities and repairing decayed teeth, we truly believe that you deserve a beautiful smile – and our cosmetic dental treatments can help you achieve one. At its most basic level, cosmetic dentistry refers to dental treatment where the primary goal of the treatment is to change the appearance of the teeth. This may be as simple as minor teeth whitening, but it can be as extensive as a complete restoration – or anything in between. No matter what the treatment course, the goal is a beautiful, ideal smile. Why Would I Want Cosmetic Dental Treatment? If cosmetic dentistry is focused on the appearance of the smile, does that mean it's frivolous? Quite the contrary! 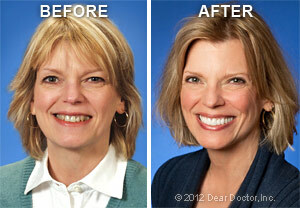 For one, many cosmetic dental treatments improve both the appearance and the health of the teeth. Dental implants, for example, don't just provide a beautiful replacement tooth – they offer a strong, healthy artificial tooth that can repair a damaged smile. But even more importantly, the truth is that improving the appearance of your smile isn't a frivolous thing. Your smile is the first thing people notice about you, and nothing compares to the confidence that comes from having a smile you feel great about. When you're proud to show off your smile, everything from social events to professional presentations gets easier. That makes cosmetic dentistry a great investment all around! Cosmetic Bonding: This simple, convenient procedure involves applying a layer of tooth-colored dental resin to the front of teeth and repairing minor issues like chips, cracks, discoloration, or small gaps in between teeth. Crowns & Bridges: These treatments can help repair teeth that have lost significant amounts of enamel. Crowns work to repair a single tooth that's been damaged, while bridges can replace missing teeth. Dental Implants: This procedure provides the strongest, longest-lasting tooth replacement available. Dental implants look natural and can last a lifetime, providing a powerfully effective treatment. Orthodontic Treatment: We're proud to offer a variety of orthodontic treatment options to help our patients achieve straight, beautiful smiles. Invisalign Clear Aligners: Invisalign is a convenient, virtually invisible form of orthodontic treatment that's very popular with our adult patients. Porcelain Veneers: By attaching thin, translucent porcelain shells to the front of your teeth, we can completely revitalize your smile. Removable Dentures: If you're ready to enhance your life with a brand new smile, removable dentures can help, no matter what your current dental situation. Teeth Whitening: We can use professional-strength whitening gels to whiten your teeth up to eight shades in a single appointment. You'll walk away with a beautiful new smile! Tooth-Colored Fillings: If you develop a cavity or dental decay, we can heal and repair the tooth with a natural-looking, tooth-colored filling. More than just a dental treatment, cosmetic dentistry is a chance to give yourself a complete smile makeover. When you get started with a smile makeover, the most important thing you can do is communicate exactly what you do and don't like about your smile and how you'd like it to be different. 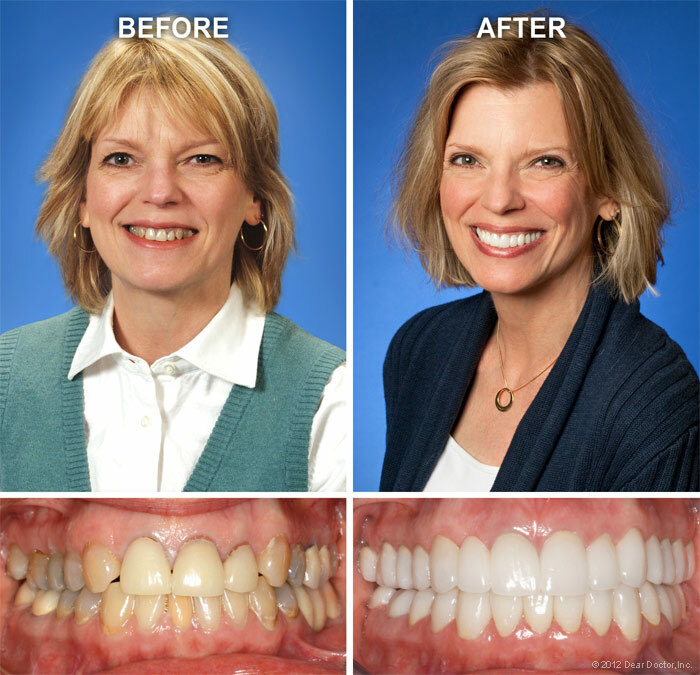 As expert cosmetic dentist serving the Pleasanton community, we can use cosmetic dental treatments to alter your smile in almost any way – so we need to know how you would picture your ideal smile going in. What do you like about the color, size, shape, and spacing of your teeth? What do you dislike? Do you like how much of your teeth show when you smile? Do you notice gums, and do you want that to change? How white do you want your smile to be? Are you looking for a perfect, gleaming "Hollywood White," or would you prefer a more natural off white color? Another great idea is to bring in photos of smiles you like or don't like. These can provide a visual reference for your Pleasanton cosmetic dentist, and they can also serve as talking points for discussing your cosmetic dental treatment. Cosmetic dentistry can be the key to unlocking the smile of your dreams, and the team at Brush Country Dental Center is here to help you! If you're ready to take the first step to unlocking a beautiful new smile, call us today at 830-569-2500 to schedule a consultation. We can't wait to hear from you, and we're excited to help you achieve a gorgeous new smile!